This book is full of paradoxes. Anno's artwork features three-dimensional letters of the alphabet. Each letter looks as though it was fashioned out of wood, but is really an optical illusion. Each letter is matched with a picture that is equally paradoxical. A intricate border frames each page and is filled with more alphabetical items: flowers, animals and other items for keen observers to delight in. A list at the back of the book will help in identifying all these items. It is a clever twist on the alphabet! Jonathan enjoyed naming the letters, but he didn't grasp the impossible puzzles on each page. This is a clever book that explores mathematical relationships as they occur in life. The pictures show a landscape changing through different times of day as well as the different months and seasons of the year. On each page, a different number is featured. It begins with a snowy blank landscape with a river running through it (the number 0) the next page focused on the number one (1), with various items on the page- a house, a snowman, a child, a tree, etc. The book progresses from 1 to 12 and focuses on sets of items (12 buildings, 12 trees, 12 children, etc.) Jonathan is really in to counting, and he just had so much fun with this book! Granted, he got distracted after we got to the number eight or so, but that was pretty good for a two and a half year old! Anno has several other mathematical books: Anno's Counting House, Anno's Math Games, and Anno's Mysterious Multiplying Jar. In this book, Anno reflects on his journeys through Europe. The pictures are in the style of Japanese scroll painting and the scenes unfold from page to page. In each detailed scene, you'll find different characters- children at play, adults at work, as well as famous European artists, composers as well as characters from fairy tales and television shows. The art and architecture of Europe are depicted beautifully as the traveler moves through farms, villages, towns and cities. 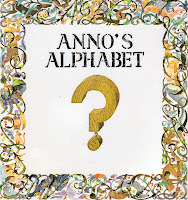 As in all of Anno's books, you'll find visual jokes and puzzles as well as some visual impossibilities. It's a wonderful book that provides many opportunities to point and label things to your children. While Jonathan didn't fully appreciate this book, he had fun trying to find the traveler on each page. This book will be one that your children can enjoy for many years-- even my husband enjoyed exploring the illustrations. If you find you or your children enjoy this book, try some of Anno's other journeys-- such as to Italy, Britain, Spain, or the USA! 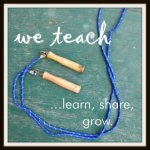 For great activities to go along with Anno's books, see Carol Hurst's website. These are definitely going on our Paperback swap wishlist! Those books look really cool. I think that we would enjoy Anno's Journey (or maybe I would enjoy it more lol). Thanks for stopping by and visiting my blog. I wanted to let you know that a friend of ours who thrifts A LOT (almost daily) found them at a thrift store. They really are pretty cool. Thanks for sharing your books. I've enjoyed looking at them.